Mohali, April 2: To lose a game is a part of sports. But to end up on the losing side in a T20 game when the team needed 23 runs off 21 balls with seven wickets in the bag is anything but disappointing. And Delhi Capitals skipper Shreyas Iyer made his displeasure known after losing to Kings XI Punjab in Mohali. "Really disappointing. With the way we were going, we came ball to ball and to lose from there, really disappointing. We didn't play smart cricket and Punjab outplayed us in all the departments. They were really cool and calm in that situation. I am really speechless. It is a crucial match and losing such matches is not going to benefit us," he rued. KXIP beat DC by 14 runs | Kings XI Punjab vs Delhi Capitals Live Cricket Score 13th T20 MatchKXIP beat DC by 14 runs | Kings XI Punjab vs Delhi Capitals Live Cricket Score 13th T20 Match. Iyer said that with someone as experienced as Colin Ingram in the middle, he couldn't fathom that DC would still go on to lose the game. "The way Ingram was going, with ball to ball, it is really difficult to see us losing wickets like that from outside and the batsmen not taking initiative to win the game. "However, it is good as well as it happened early in the tournament. We can correct the errors and come back strong," he said. 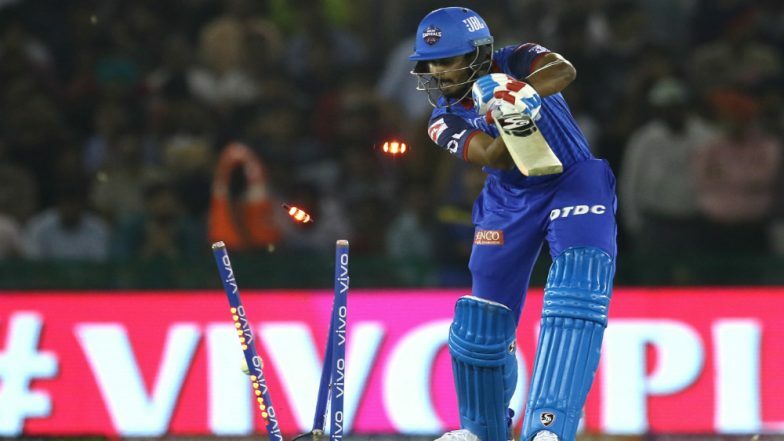 Iyer also looked to stay positive and said that while the team didn't start well with the ball, they came back well in the second half and that he felt was one positive that would do wonders to the confidence of the unit. "We didn't bowl that well in the powerplay, they came really hard on us but we defended good after that. We gave away 60 odd runs after they reached 100. That is a positive for us. It is really going to be important for us to stay motivated. These are the small factors we have to work hard on," he said. The captain also pointed at the need to finish games. This was the second time that DC made an easy chase look difficult. While Kagiso Rabada bailed them out with the ball (in the Super Over) against Kolkata Knight Riders, the boys failed to manage an escape on Monday. "Mentally we have to train ourselves on how to finish the games. We are getting good starts but need to focus on winning the games," he said.